The fringetree is a small tree or shrub ranging in height from 12 to 20 feet with an equal spread. The common name refers to the slightly fragrant, spring-blooming flowers which feature drooping clusters (4-6” long) of fringe-like, creamy white petals that appear from May to June. It is dioecious (meaning separate male and female plants) and the male flowers are the showiest. The flowers give way to clusters of olive-like fruits which ripen to a dark, bluish black color in late summer and become a food source for birds and other wildlife. The wide, spear-shaped leaves turn yellow in the fall. Fringetree grows in moist, fertile soils across hardiness zones 3 to 9. It is best planted as a front lawn specimen or as a shrub or woodland borders. It is also tolerant of pollution and adapts well to urban settings in both full sun and partial shade. 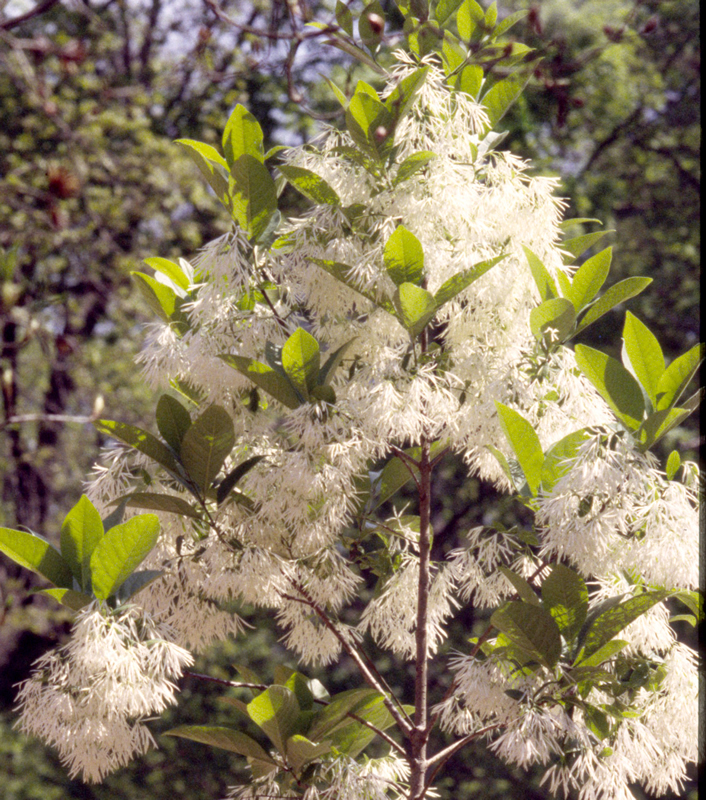 The fringetree is terrific in native plant gardens or near streams. In all cases, it is spectacular in full bloom.